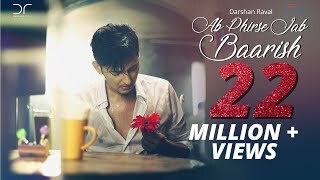 Ab Phirse Jab Baarish Lyrics: A sad love song sung and written by Darshan Raval and composed by Rahul Munjariya and Darshan Raval. The music video features Darshan and Manmeet Kaur. It’s directed by Aalap Deboor. Ye chand bhi pheeka, galiyan sooni..